Here you will find helpful tips and suggestions on how to wear the Traditional Kilt properly, as well as information about the History of the Kilt, how to select a Quality Kilt, What to Wear with your Kilt and How to Measure for a Kilt. We are Bagpipers, Highland Dancers and Merchants. 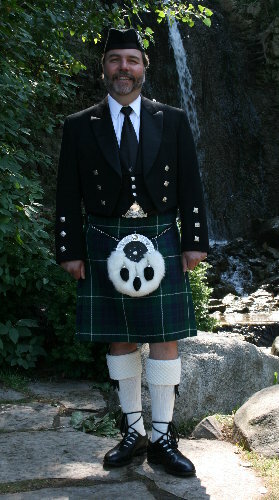 We regularly wear, buy and sell Kilts and want to share our experience with you. Overall, we see most people wearing their Kilt with pride. But we see others too and wonder “what are they thinking?” So our goal is to share our experience to promote the proper wearing of the Kilt, so it is worn with the respect which it deserves. We tend to be on the traditional side, but we also believe in tasteful expression. So please explore our site and learn more about the great Kilt.